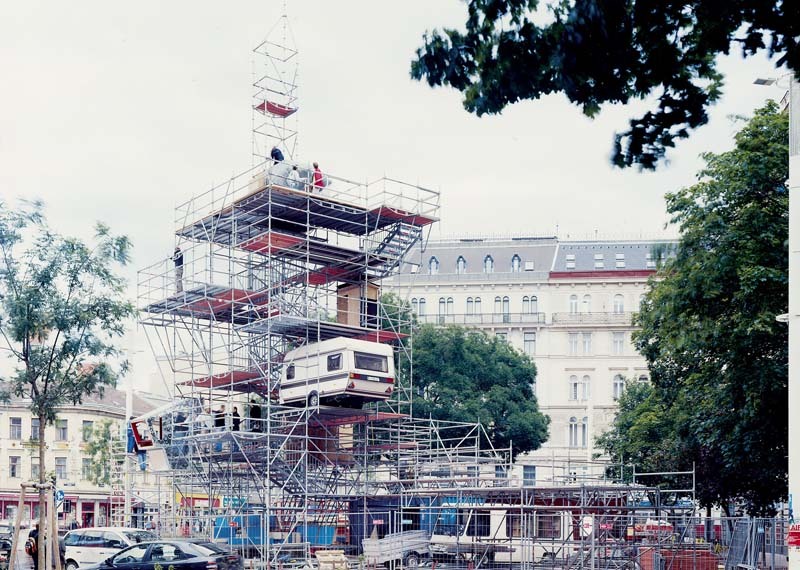 For six weeks “add on. 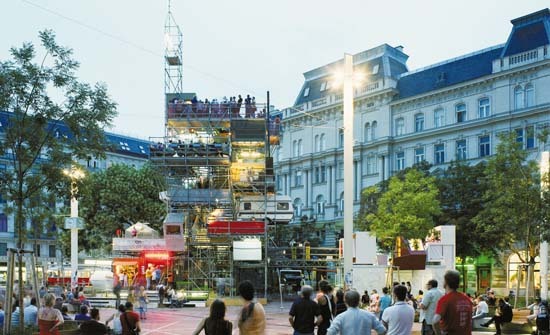 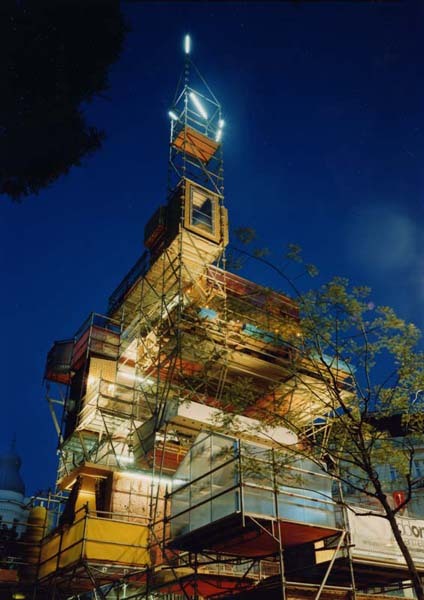 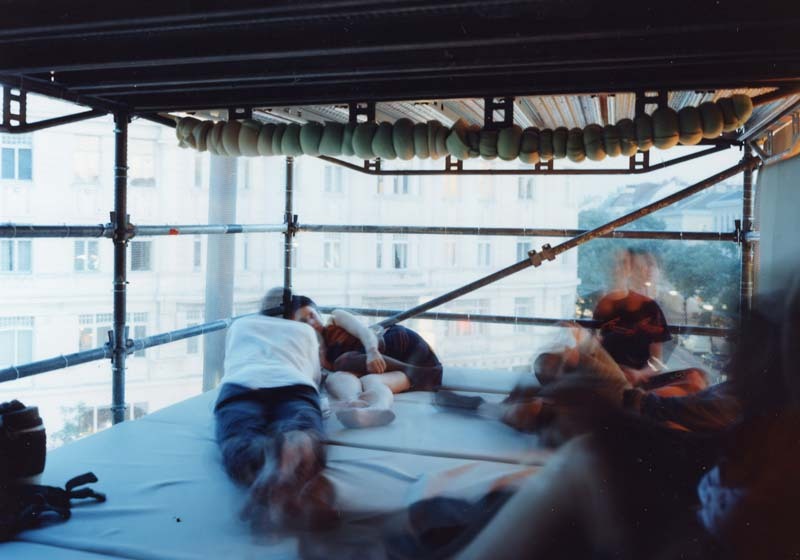 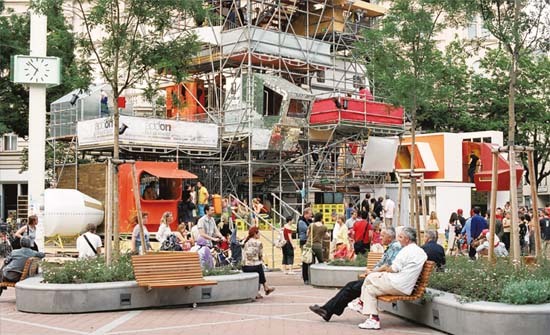 20 höhenmeter” transforms Wallensteinplatz into a centre of artistic interaction. 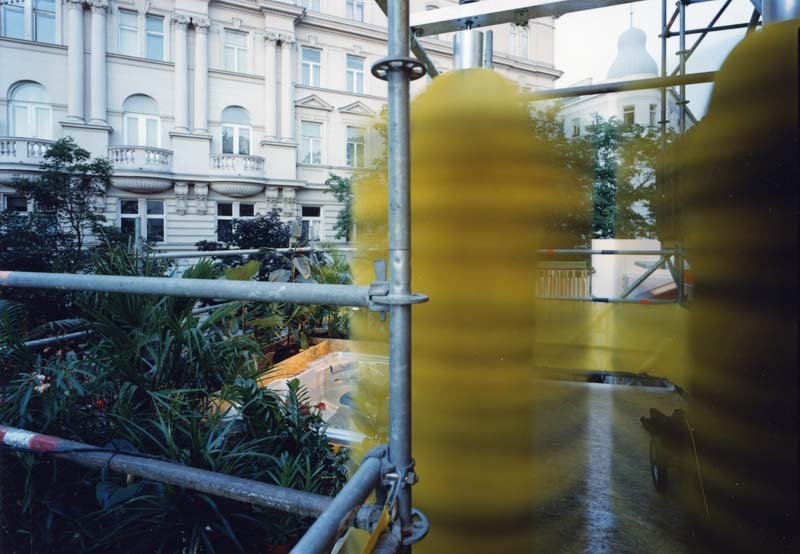 Peter Fattinger, Veronika Orso and Michael Rieper present sculpture as a usable object, able to communicate and interact with the general public. 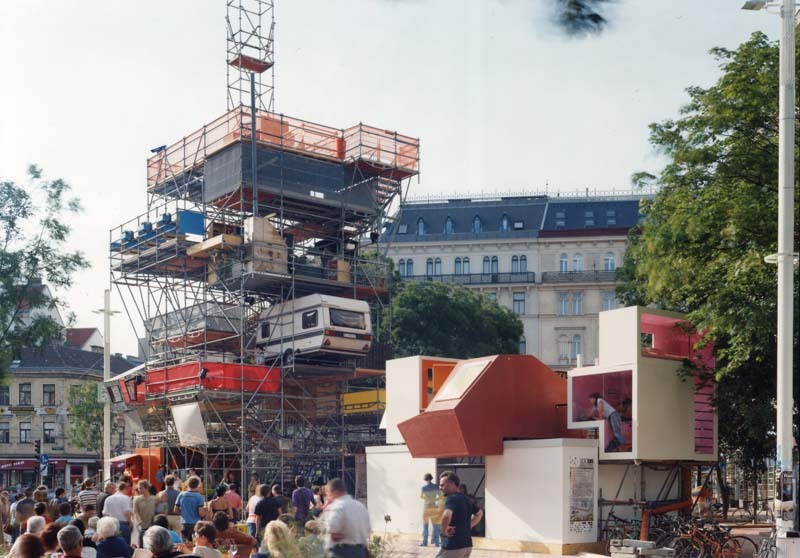 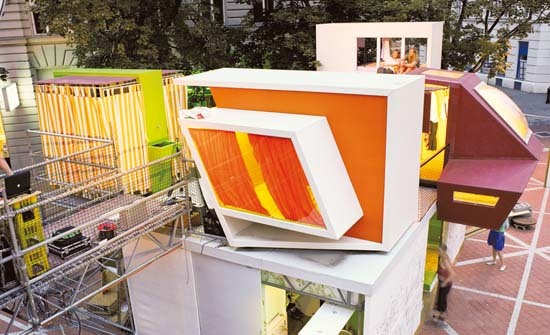 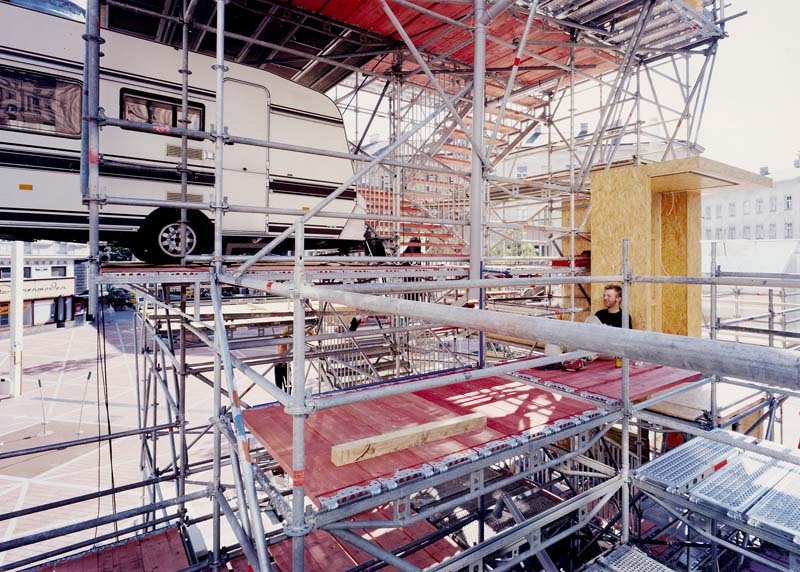 The basic structure of „add on“ consists of a platform reaching up to twenty meters high, in which specially made space modules interlock with finished parts creatively altered from their original purpose. 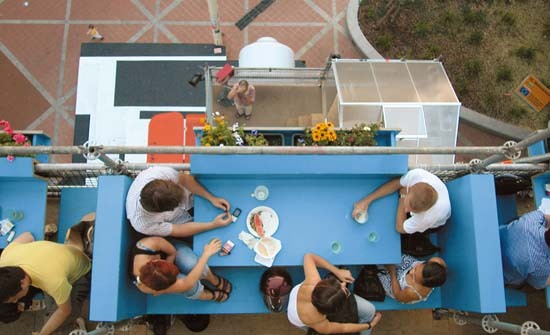 As a generally accessible environment, this structure lets you explore new worlds, offering a range of angles, views and vistas at various levels. 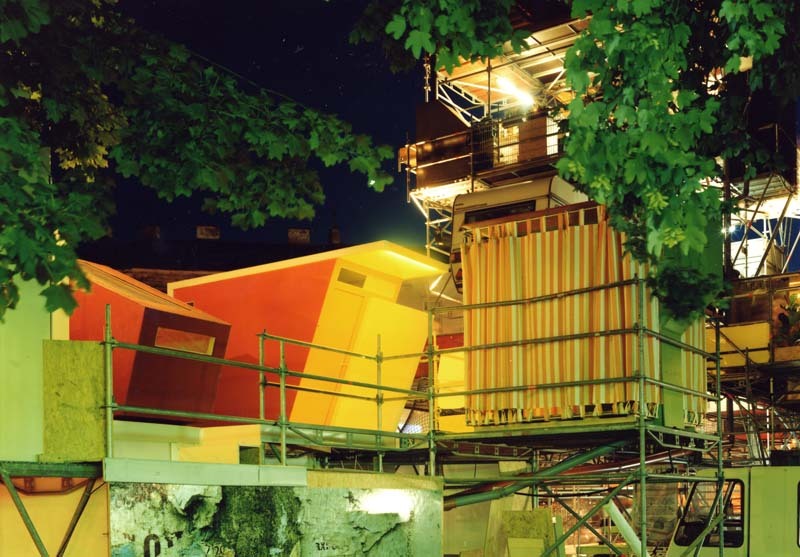 The result is a fascinating variety of perspectives on everyday life, our surroundings, as well as on the location of the platform itself. 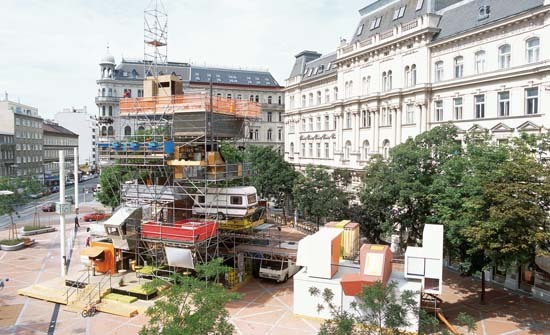 Each day there is a programme of different artists with shows both multidisciplinary and multicultural.